When we think of Maui, some of the first things that comes to mind are beautiful sunsets, blue ocean and sandy white beaches, scenic drive on the Road to Hana including waterfalls and bamboo forrest and sunrise at Haleakala. I am sure you will have your own addition to what I’ve mentioned. Maybe a wedding or honeymoon here on Maui, the hiking adventures, scuba diving and snorkeling and the famous whale watch. I love all those. And now, when I think of Maui, I think of those things, plus. What do I mean by “plus” – because there are so much more. the local food, the ocean vodka, the fresh gourmet dishes prepared from “farm to table”, and so on…. 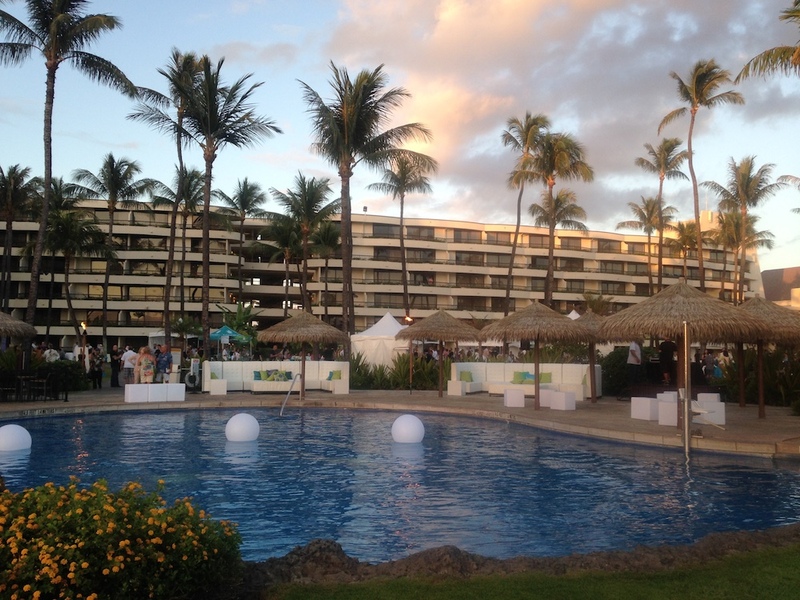 Last night I was invited to attend the “Maui on My Mind” a signature event at the Sheraton Maui Resort and Spa. 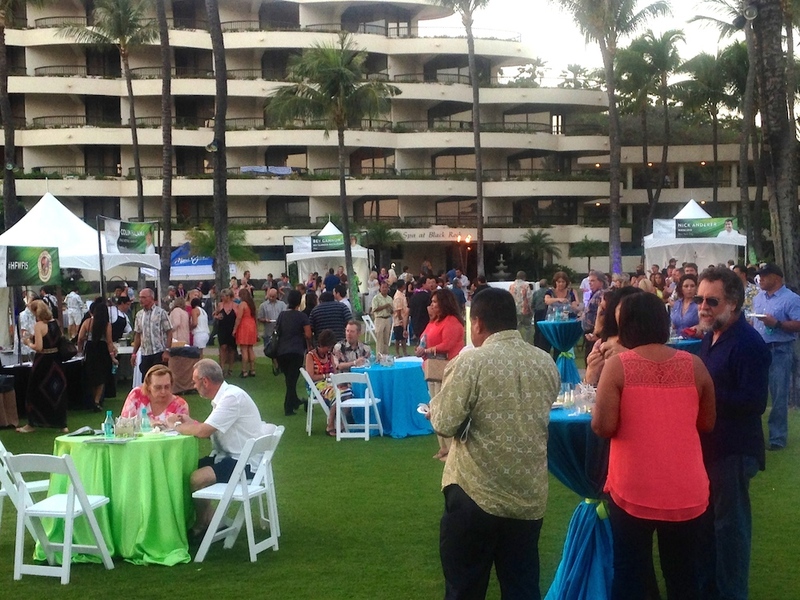 This inagural event on Maui is part of the on-going Hawaii Food and Wine Festival. 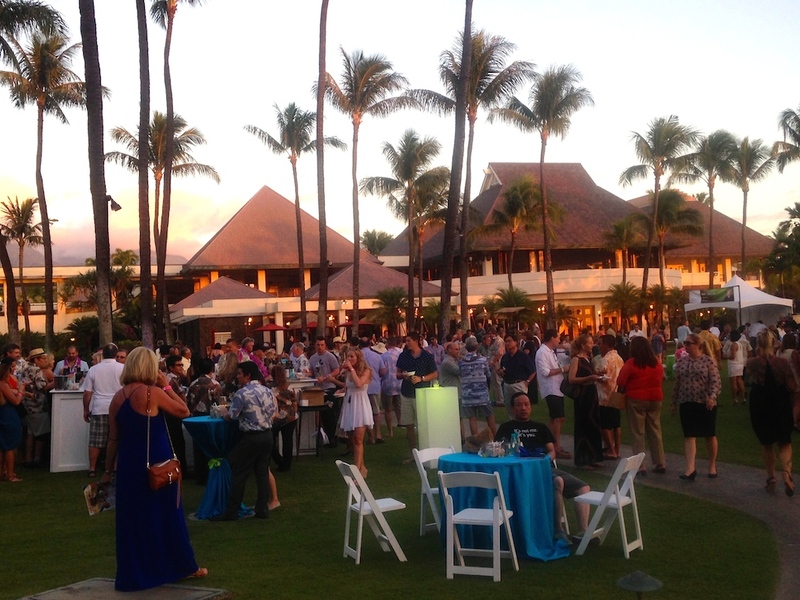 As Melissa Chang from Frolic Hawaii described it – This event has “nine renowned chefs took locally grown, raised and caught products and made exquisite new dishes; nine winemakers from around the world offered a variety of wines for pairing. Mixologist Chandra Lucariello of Southern Wine & Spirits and Aaron Alcala-Mosley of Cow Pig Bun created refreshing cocktails that were big hits with the crowd.” It was a fabulous night! I posedt and shared real time photos last night. This morning I created an album on Facebook: go to Hawaii Food And Wine 2015 photo album to see the food photos, and more! It was a successful inaugural event and I am looking for the next one in year 2016! My wife and I have booked our first trip to Hawaii for next year. We are coming from Australia and I am loving this blog. The food and wine festival looks awesome. I CANT WAIT! !